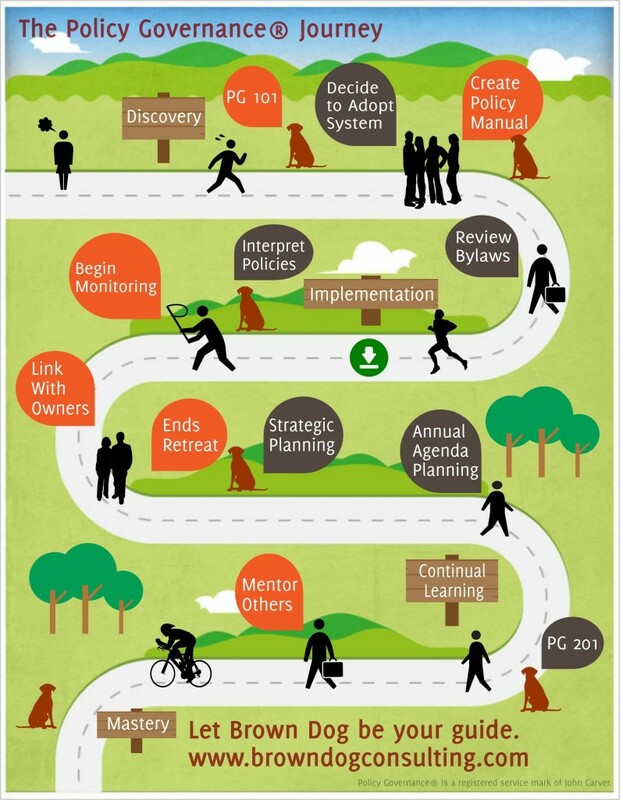 Every organization is different, and so is each Policy Governance journey. Some boards wish to complete the training and policy manual creation very quickly, and others prefer to take gradual steps towards implementation. Illustrated below are the typical stages and steps you can anticipate; exactly how, when and where to embark on this journey is up to you! 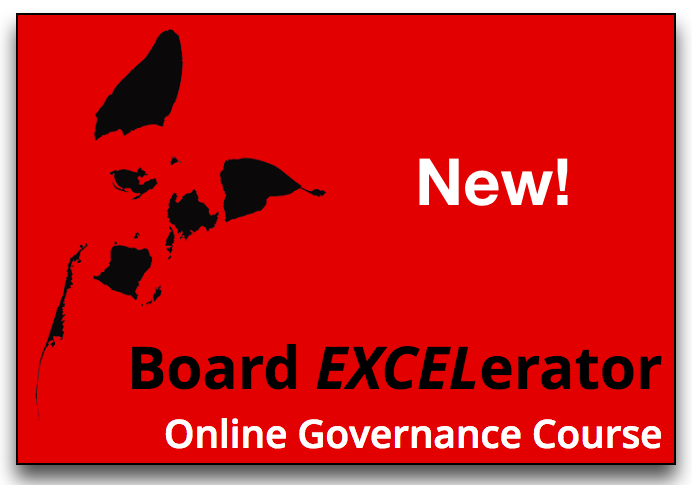 To explore options on getting started, contact Brown Dog Consulting.